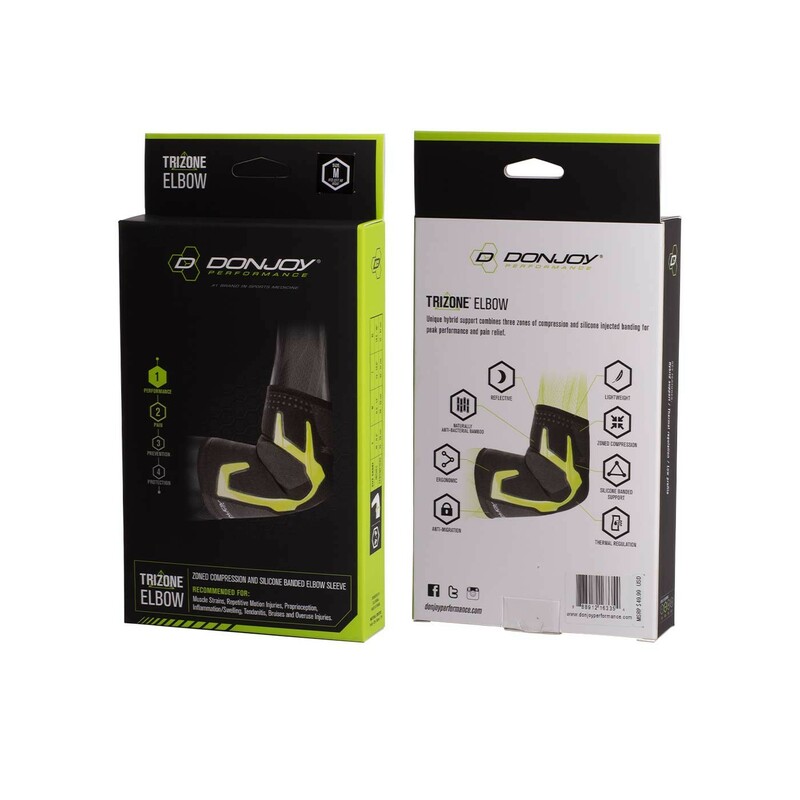 Our DONJOY Performance Trizone Elbow Sleeve is a unique hybrid design combining the properties of compression and bracing in a single sleeve. The carbonized bamboo circular knit construction allows for targeted, zonal compression with anti-bacterial and thermal regulating properties. Three distinct compression zones which include: a stability zone with strategically placed injected silicone to provide support for the elbow joint and the benefit of enhanced proprioception, a compression zone which improves circulation and provides mild support to the joint structure and surrounding muscle tissue, and a comfort zone that provides lighter compression for enhanced fit and better range of motion. 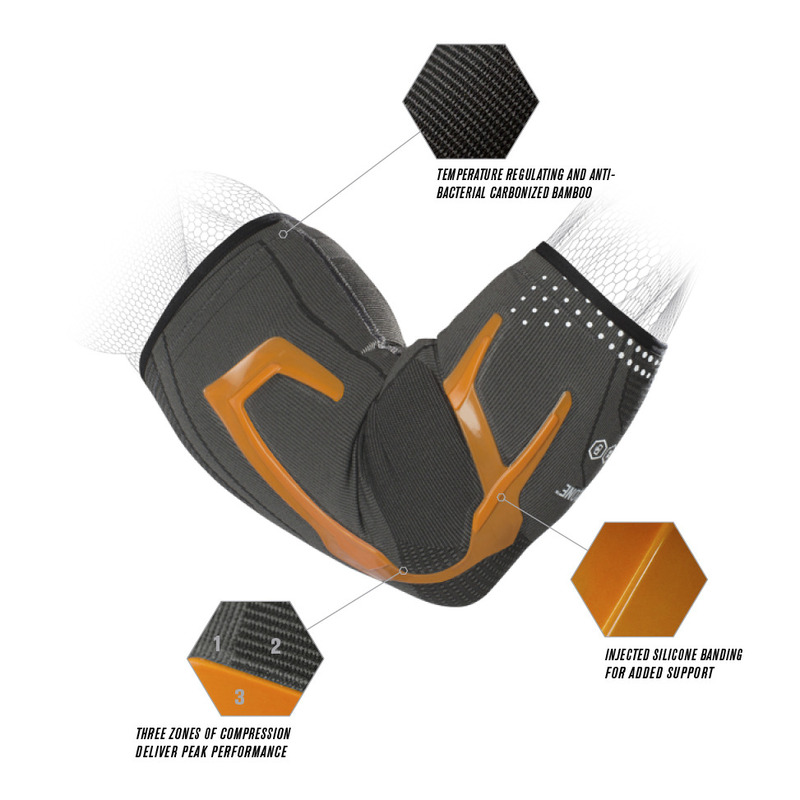 The Trizone elbow support is a low profile performance product designed to keep you moving through repetitive motion injuries including strains, swelling and inflammation, tendinitis and soreness.